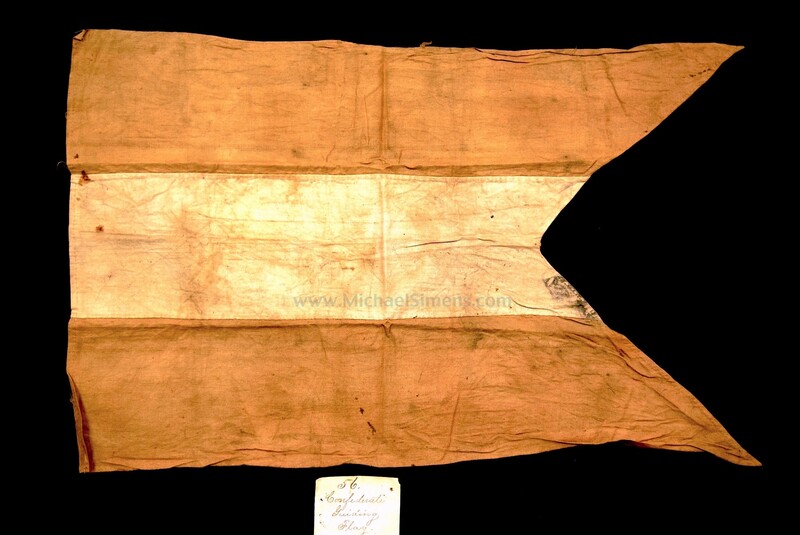 This is a very rare Confederate Flag, possibly one-of-a-kind, and in exceptional condition. This is the third Confederate Swallowtail Guidon that I have owned, the previous two selling off this website within a few hours of posting. I have only seen two others in person. Designed in the First National pattern, they are certainly rare and sell immediately upon offering due to their diminutive size of 17" X 12", as they are easy to frame and fit in any office or display room quite handily. They were usually mounted on a lance and were used to maintain formation and location. This example has a couple of features that make it a one-off. Every one of these that I have seen has had 11 stars in the canton. This one has none, and I don't believe it to be an oversight. When discussing this flag, a few of my fellow collectors have stated that they have seen steel engravings of Confederate Cavalry scenes depicting this swallow-tail, with and without stars. I believe this example to be one of the first ones made. I have been told that there exists a copy of a January, 1862, bill from Burger and Brothers, charging the Confederate States of America, for 283 “Lances and Flags” at six dollars each. 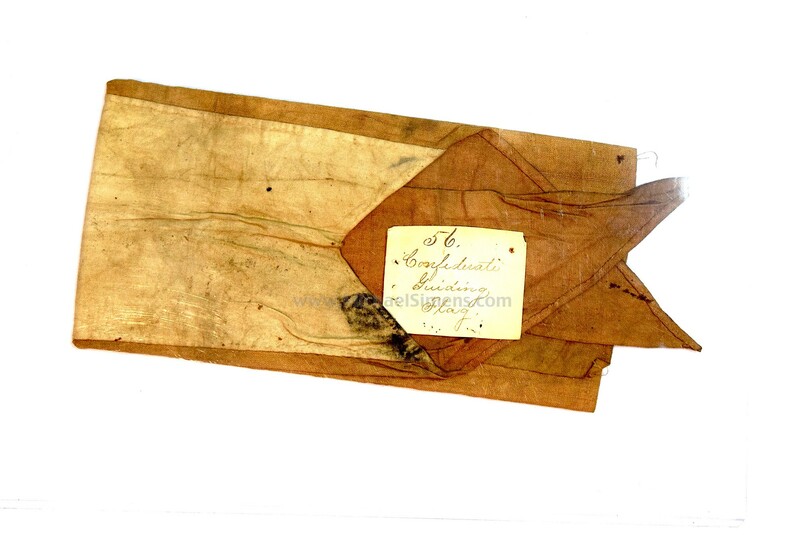 I have also been told that Greg Biggs has information that Richmond’s "Cary Invincibles": Hettie, Jennie, and Constance Cary made and sold these guidons to Burger and Brothers. These same ladies sewed the very first 3 Confederate Battle Flags. One of these sold at Garths auction in 2003 for $13,000 and one sold in 2007 with a staff at Heritage auction for $15,550. 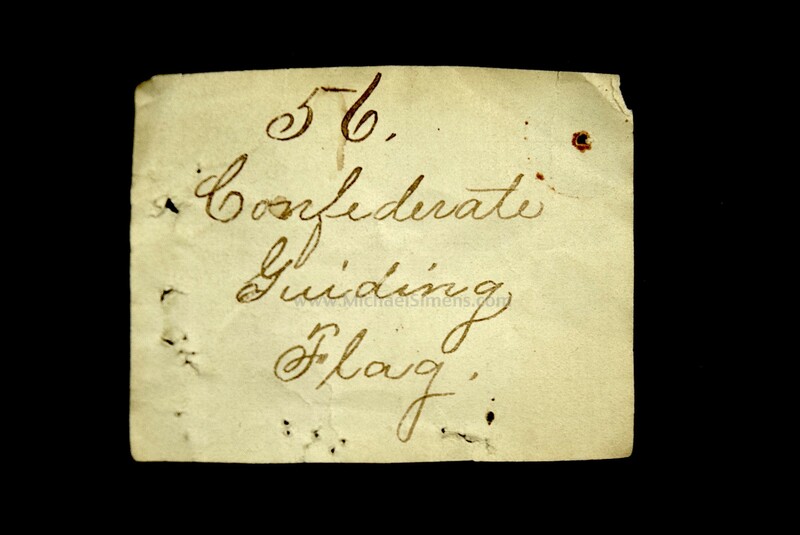 The second feature of this flag is that it comes with a nice little period brown ink tag marked, "Confederate Guiding Flag". A nice little touch to add in its framed display. 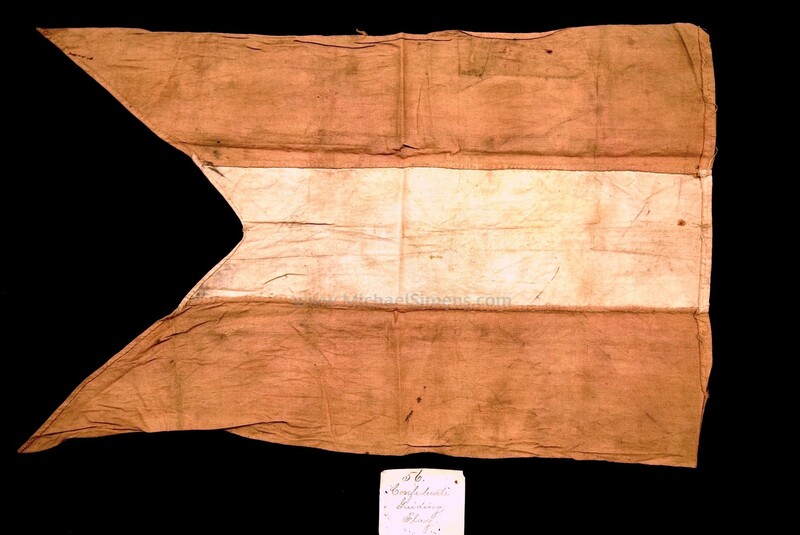 This is a very unique and rare Confederate battle flag.